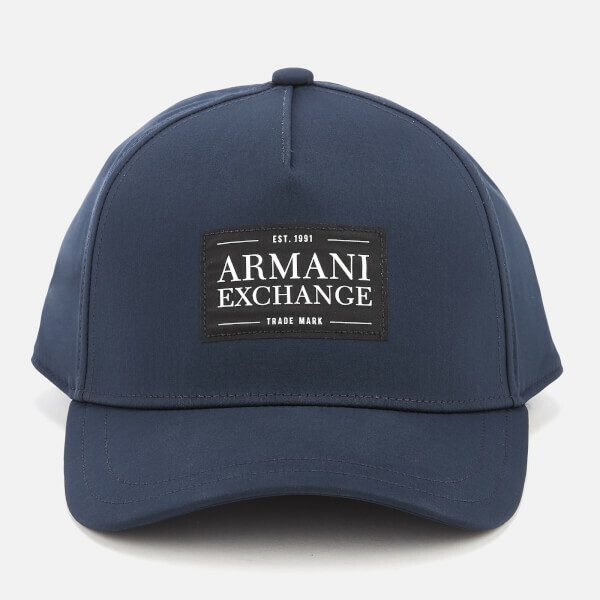 Armani Exchange baseball cap with a rubberised logo badge to the front. 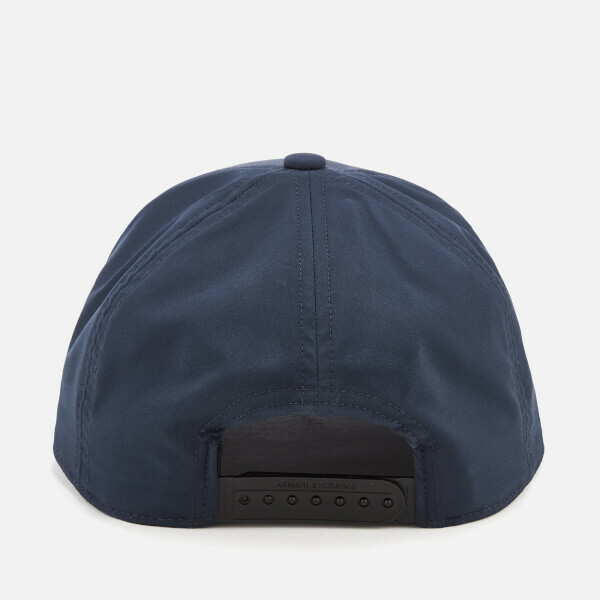 Crafted from technical fabric with a fabric-covered button on the crown and a curved peak with tonal stitching. 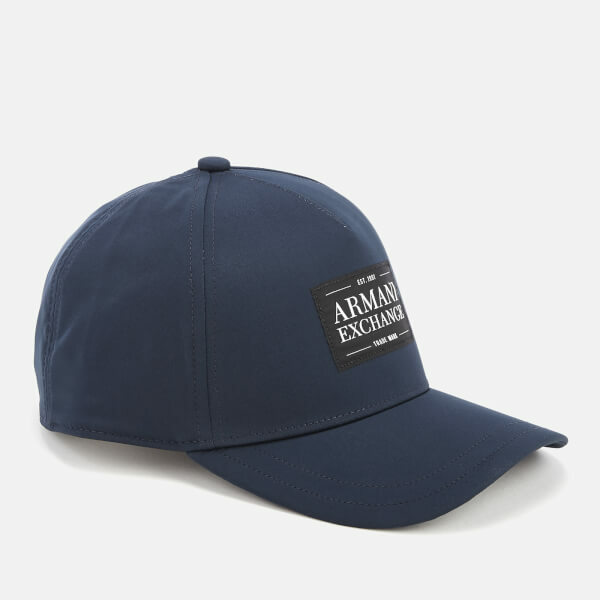 An adjustable rear strap and an internal cotton sweatband ensure a comfortable fit. 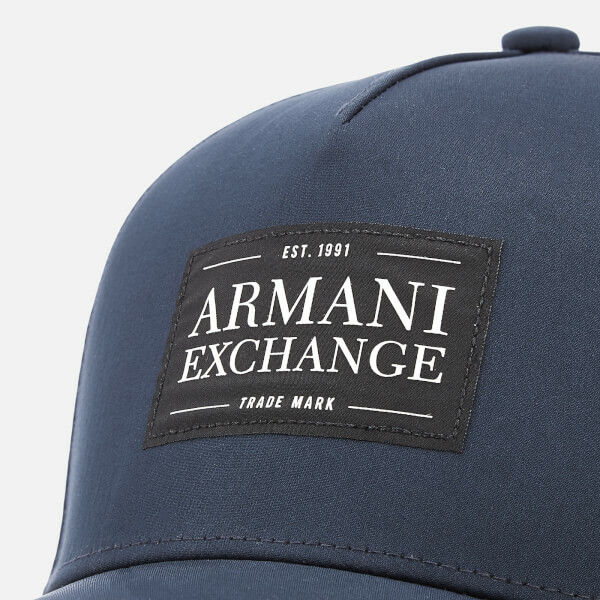 Main: 97% Polyester, 3% Elastane. Lining: 100% Cotton.